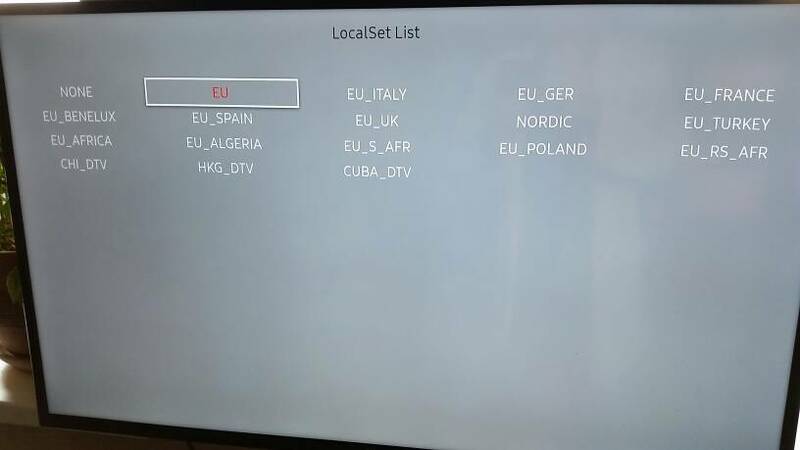 You`re strictly following J series 5100 video, do not expect menus being same on your TV, as you`re talking about KU6xxx model. As you see, eu_italy is here. I also checked mrt option and region has no options for europe other than paneuro. No need to dig there. Hi everyone, could anyone help me, how to activate the usb to run an app (model tv UN65KU6500) ? I changed the PWM Min option from 0 to 5, and now the darker scenes don't dim as much. Maybe you can change back the PWM_MOVIE_INI to 30, and set both PWM Mid and PWM Min to 30. Maybe this will fix your "overly white" image. As far as i can tell, these settings control the amount of current that is sent to the LEDs. Seems that 30 is the setting for normal watching. There's also the PWM Max option, which is set to 100, which i think means, when there's a bright image (like an all white picture) on screen, send the maximum amount of current allowed to the LEDs. By setting the other 3 options to 30, you're telling the tv not to alter the current sent to the LEDs under normal watching, resulting in no dimming on darker scenes.